As a worship leader, I’ve made all three of these mistakes. And, it took me years to realize what was going on. This post is not to put you down, but to save you time. Get a head start and learn from the things I have done wrong. It’s quite possible you have musicians on your team who aren’t quite ‘there’ yet, especially if you lead worship at a small church. It’s also likely that you are frustrated with this very thing. I get it. You envision a worship team that knocks it out of the park every Sunday, but this is far from reality. Instead, you have musicians who hit wrong notes, show up unprepared, or don’t wear the clothes you’d like them to. As a recovering perfectionist, I remember getting bent out of shape about these very things. But, I am reminded time and time again that God is not looking for perfection – He is looking for those who will step out in faith. God takes those the world would throw away and does great things through them (1 Corinthians 1:27). He wants us not leaning on our own abilities, but believing for His power to work through us. So, instead of getting frustrated with your team members, let them know that you believe in them. Aim to be patient with them as God has been so patient with you. Taking a task that you do well and trusting someone else to get the same result is hard. It takes quite a bit of time upfront to reap the reward of saved time in the future. Then, when you do finally delegate, they don’t do it as well as you could. You are tempted with taking the task back instead of dedicating time to developing the person you have delegated to. I want you to think back to when you started. I bet you weren’t that good either. Now, in your mind, play through the worst that could happen when someone doesn’t do it as well as you. I bet it isn’t as bad as you were subconsciously thinking. Bottom line, when you make all the decisions and do all the work, the worship team will be limited by your limitations. Creativity will be stifled and your team won’t have the opportunity to fully develop their gifts. Do yourself and your team a favor and delegate. Embrace the imperfection and dedicate yourself to developing others. After all, that is what leadership is all about. Lights, stage design, new technology – it’s all exciting isn’t it? You watch a live stream of the church down the street and stand in awe of the production value. Their band, lighting, and camera crew are spot on. Then, you take a look at your own church and see all that is missing. You start to believe that the only way to have a powerful worship service is to have amazing lighting, sound, and all the technology to make it happen. I’ve been there. Looking back, I can see that I wasted so much time on things that did not move the needle, like getting the perfect stage design. But recently, my church went mobile due to our building getting demolished by the city…and back to the basics we went. In an effort to achieve simplicity, we ditched the stage lighting and many other things. No longer do the house lights dim down and vibrant LED lighting fill the stage for worship. Instead, the hotel conference room lights illuminate the room for the entire service. You’d think the church wouldn’t worship like they used to…but it actually seems to be quite the opposite. The smaller room and less-produced service has created a stronger sense of connection and therefore a group who is not afraid to worship where others can see. Am I saying that technology is wrong in church? Of course not. I think it is a great way for folks to use their gifts for the Lord. But, when we put our focus on the unimportant and neglect simplicity, things start to get off track. If you have made these mistakes, don’t be discouraged. Every single worship leader has room for growth. If we think we’ve arrived, we are only fooling ourselves. So, if you are making any of these mistakes, don’t be discouraged. Instead, begin working on them one at a time. Your heart is in the right place. I know because you are reading this blog post. Again, God is not looking for perfection but a willing heart who will let God’s power work through them. Keep moving forward, my friend! I so love this ,I’ve been their before and struggle from time to time with many if not all . But, I am learning to take my “hands off the wheel” each week . And I find my temperament and out look and mind to be in a better place . Here’s something I’d like to add about expectations: We can’t take our hands off the wheel if that means nobody’s driving. More often than not, the answer is “no.” And that’s sad. The buzzword for this is “transparency.” That simply means we’re open and honest about everything. Unfortunately, many of us do the opposite. 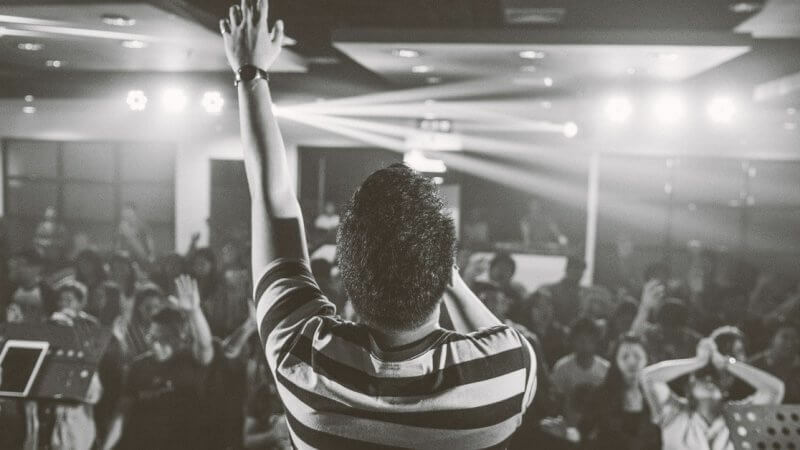 We wish we could be like Hillsong or Bethel or Elevation Church, but we just assume the rest of our team isn’t committed enough to join us in that vision. So we don’t share it. And when we do that, we sell ourselves and our teams short. My experience has been that if you share a vision, some will reject it. But others have been waiting for someone to lead them to a better place. Those are the people who will become the backbone of a flourishing worship ministry. The only way we can let go of the wheel is to develop other drivers. That means sharing our vision, selling our team on that vision, and giving them the tools they need to realize it. That’s how Jesus developed His disciples. If it’s good for Jesus, it’s good for me. Thanks for the comment, Bob. Totally agree. Do any of you have any advice for those of us on worship teams who struggle with the worship leader (read “boss”–as in do what I say as opposed to follow me) who is consistently unprepared, doesn’t know the songs, and appears to be, as Franky Schaeffer, addicted to mediocrity? After carrying the load for a long time, burnout is beginning to set in. Not sure I can climb fully on board with mistake #1, although I agree with you to a point. God may take what the world would throw away and do great things with them, but there are those that are anointed and appointed to participate leading a congregation in worship. Psalm 33.3 clearly states ‘play skilfully’. If a member of the team is coming unprepared or just does not have the skill, it can be detrimental to the atmosphere of worship. Hey Michael – thanks for the comment. You’ll find in many of my other posts how important it is to play with skill and pursue excellence. In regards to mistake #1, I am in no way saying you should become lax on pushing your team to improve their skill level. But, what I am saying is that you shouldn’t give up on someone because they aren’t ‘there’ yet. Instead, be patient while helping them improve their skill, which is often done by having hard conversations and communicating expectations over and over. My goodness, thank you so much for this. This directly speaks to me, I am a worship leader in a small church with members who have little or no experience at all. Thanks again for the motivation. The twenty-two years I spent in the Navy and then a number of years in the “real world” as a QA Manager has long prepared me for ministry. #1 is an absolute, you must have faith in your team; work with them, pray with them, makes certain those in your team are where they are qualified and where they want to be. I am not just the pastor but also sing with the praise team, when taking this position my praise team leader is in charge, I work for him. #2 Delegation is a must, micro-managers are almost universally disliked and impossible to work for. Delegate, support, get out of the way. When one person tries to do it all, failure is just down the road. #3 People are in your congregation for a reason, they aren’t in the other church. Most churches will morph into what the people need. As a pastor I am responsible for the spiritual development of my congregation.